Contrary to popular belief, you can't get a patent for something that's still in idea form; you must be able to apply your idea in a concrete way. This doesn't mean that you have to build a prototype of your invention before you can get a patent. However, you have to be able to draw or describe it in enough detail so that someone else could make it and use it. A patent provides you with the right to keep others from making and selling your invention for up to 20 years. The most common type of patent, a utility patent, protects rights in new and useful processes, machines and other things. These patents also can protect rights in non-obvious improvements made to existing things. To determine if your invention is patentable, you must first research all previous patents and other publicly disclosed inventions to ensure that no one else has already patented something similar. Because this process can be difficult and complicated, the U.S. Patent and Trademark Office recommends hiring a registered patent attorney to conduct the search for you. If you have a patentable invention, filing a provisional patent application can provide temporary protection of your intellectual property rights while you develop your idea further or seek funding. Provisional applications have a lower fee than non-provisional applications -- and you don't have to make formal claims or provide the same level of detail about your invention. Additionally, provisional applicants don't have to wait for the USPTO to examine the contents of the application. Your provisional application is valid 12 months from the date you file it -- and you can use the phrase "patent pending" in connection with your invention during that time. Although you can convert a provisional application into a non-provisional application, the USPTO recommends filing a separate non-provisional application that references the earlier provisional one. Doing so can extend the time your invention is protected by up to one year. A non-provisional application includes a lengthy written document with a description of your invention and all the things you claim you invented, as well as drawings, an oath or declaration and fees for the filing, research and examination of the application. The USPTO recommends using a registered patent attorney to draft and file your non-provisional application. USPTO regulations include specific requirements for the format of applications and the necessary drawings -- and examiners reject applications that don't meet these requirements. The USPTO accepts applications filed electronically as well as paper applications delivered by mail. However, since 2011, the USPTO charges an additional fee for non-electronic applications. Fees cover the USPTO's cost to examine your application and are non-refundable regardless of whether the examiner grants your application. Fees vary depending on the size of your organization and the number of claims you make. Because the amount changes every year, the USPTO recommends checking the current fee schedule before you file your application. The backlog of applications means it can take one to two years before an examiner takes his first action on your application. If he rejects any or all of your claims, you have the opportunity to reply and amend your application before a final decision is made. If the examiner grants your patent, you must pay additional fees for the patent to be issued and published. 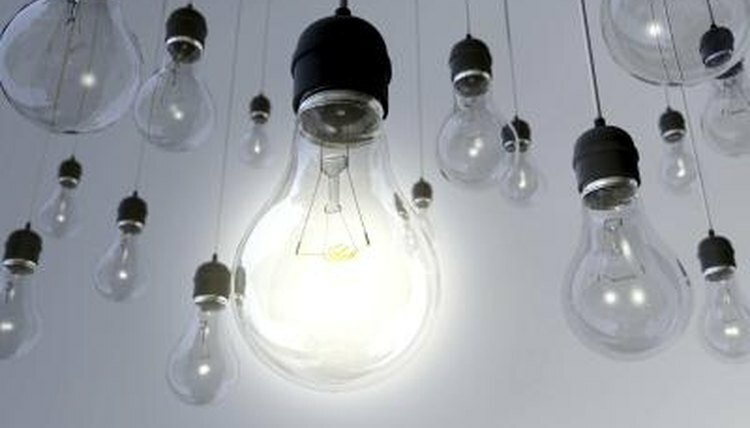 IP Watchdog: Protecting Ideas -- Can Ideas Be Protected or Patented? Mueller, Jennifer. "How to Patent Your Idea." , https://legalbeagle.com/4450349-patent-idea.html. Accessed 20 April 2019.